We had a wonderful short break in this brilliant area. 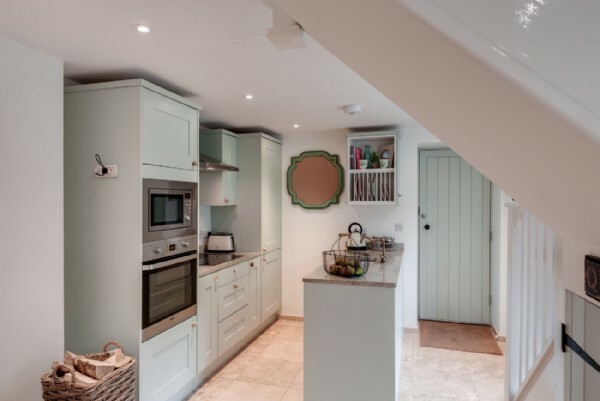 The cottage is lovely, well equipped and finished to a very high standard. We took the train into Plymouth to visit the Gin Distillery - well worth a visit for £7.00 per person (including a G&T!). Our stay was just what we needed to re-charge our batteries! Great welcome pack. Despite the weather, this quaint, warm and comfortable cottage was the perfect place to recharge our batteries and relax for a few days. Our golden doodle Stan, had some bracing walks across the moors and enjoyed exploring the area. Thank you for the welcome pack and for making our stay special. Such a beautiful setting and a very nice host. The location is great location with scenic walks to nice pubs. We really loved the space, this was our second Unique Home Stays booking and we will definitely do it again! Thank you! We had a fabulous time at this beautiful cottage. 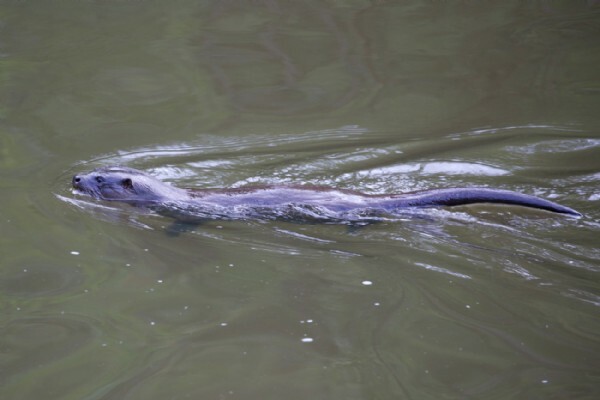 We count ourselves very lucky that we saw two otters in the river, a kingfisher, buzzards, a nuthatch and heard plenty of owls. We were blessed with beautiful weather allowing us to sit outside each day. Thanks very much, we will return home very relaxed. Our first Unique Home Stay - and it was amazing! Loved the spaces, inside and outdoors, beautiful setting and a great location. Wish we could have stayed longer! Would love to come back. "Stop the world, we want to get off". Well we certainly did at Little Gillyflower. Relaxation and reflection reverberate in this beautiful part of the world. 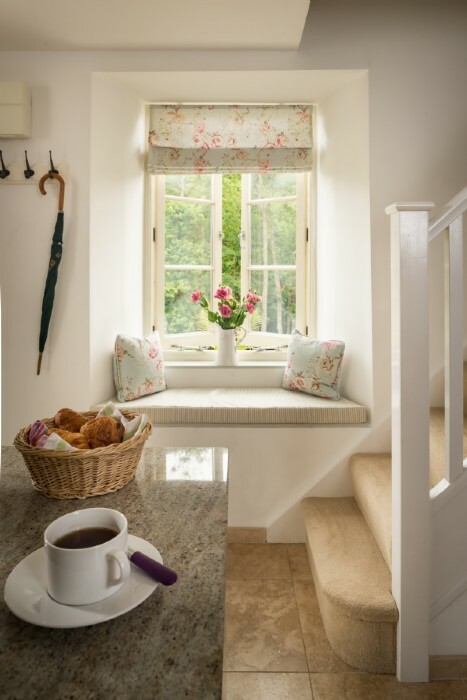 What a wonderful cottage in such peaceful surroundings. We had a lovely time and would love to come back soon. Thank you very much. Divine location and we love your Tardis in the Tamar! Beautifully brought back to life and a testament to immense hard work and superb vision. Extremely comfortable and a delight to stay in. Brilliant for belated 60th birthday celebrations. What a lovely cottage! We slept like babies - it was such an ideal place to recharge our batteries. We´d certainly recommend the Plymouth Gin Tour and be sure to take the train from Calstock station. Cotehele is also worth a visit. Thank you for a lovely stay. We did, indeed have a great week in Cornwall. The Little Gillyflower cottage was perfect, very clean and comfortable. The location was second to none for peace and quiet and surrounded by nature and history - we were fascinated by the old copper mine ruins we stumbled across walking by the river. Little Gillyflower has been the perfect setting for a 40th birthday celebration. It has helped us press "Ctrl-Alt-Del" to enjoy quality time exploring the riverside walks, the local area and just soaking up the tranquil setting. It´s been such a pleasure to have some time just as a couple (children with the grandparents) and recharge batteries! 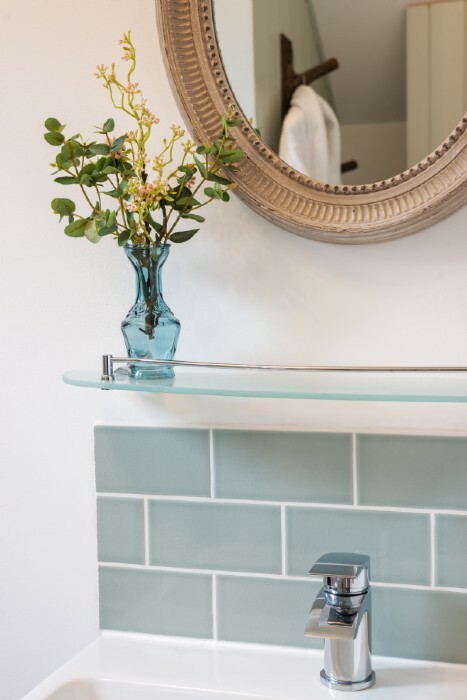 Little Gillyflower is immaculately presented and has given me inspiration for our home - the design, colours, furniture and layout are fabulous! Thank you very much for making this place so special! 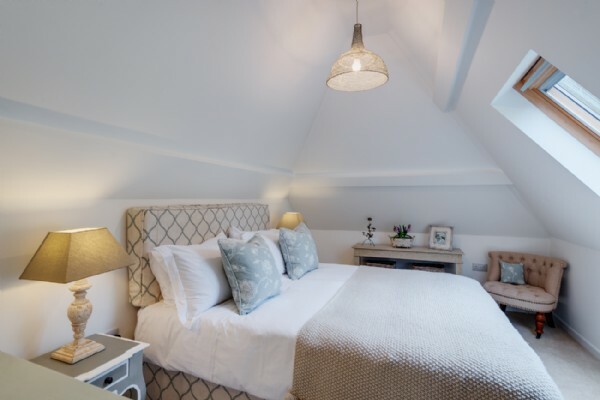 We cannot thank Alison enough for a thoroughly enjoyed three night stay at Quiet Cottage. Extensively equipped and in such an enviable position by the river. Quite Cottage was the ideal haven for us to spend the latter part of our honeymoon! 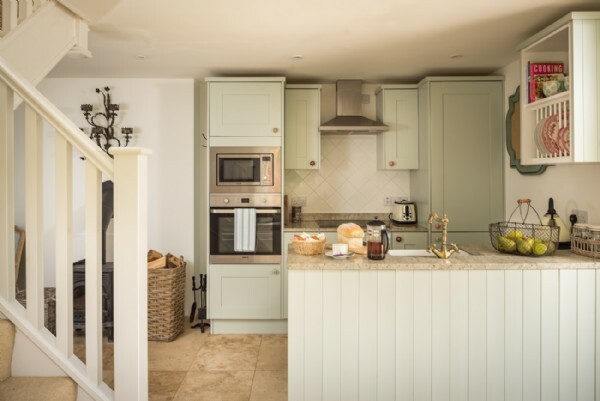 We had a wonderful time at Little Gillyflower, from the moment Alison welcomed us we felt instantly comfortable and relaxed at a home away from home. Due to recently moving and myself turning 30 we´ve had a rather hectic few weeks and to be by the river and in such a beautiful secluded setting that we were, it was just the perfect way to relax. We walked along the river every day and our dog Miko absolutely loved it. On our last day we didn´t leave Little Gillyflower instead we sat and watched movies all day with the log burner keeping us warm. It was all perfect, thank you very much. We´ve had the most magical week here and we will definitely be back. The walks with Lola have been spectacular and the scenery is breathtaking. You have created a piece of heaven here and we both won´t forget this week any time soon. It has been a wonderful start to my 50th birthday celebrations. Thank you Ali for all your extra touches like the hamper, bread and flowers. Much appreciated. Here for our honeymoon! Very pretty and romantic cottage with just a beautiful view! Love the patio, window seat where I read lots and the bath!A whole week here but could spend longer. We will always have great memories from this holiday. Beautiful things come in small packages! Idyllic! We had a magical time here. A wonderful few days celebrating our first anniversary - thank you for giving us all the peace and quiet in the world! It was so nice to have such a warm greeting by the owner of such a beautiful cottage!! 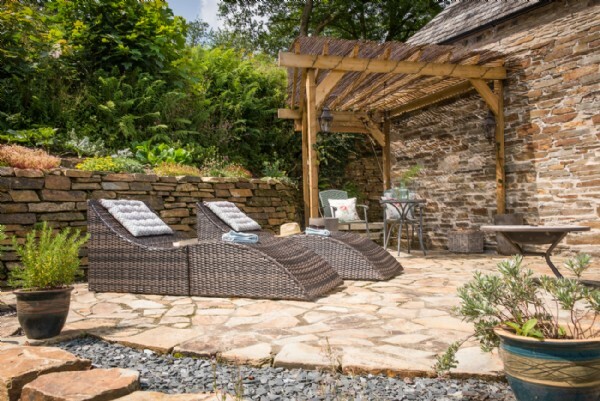 Very peaceful location to unwind and refresh the mind, fitted with all the home comforts you could ask for. Absolutely charming place!! Thank you so very much. Hope to return soon." Thank you. Loved our relaxing stay. We were greeted by a surreal sheet lightning storm on arrival but what a haven of peace with the sound of the river and birds. Wish we could have stayed longer! We´ve thoroughly enjoyed our mini moon here at the cottage. We couldn´t have asked for anything more. It has been the perfect way to relax and unwind after a few hectic weeks. 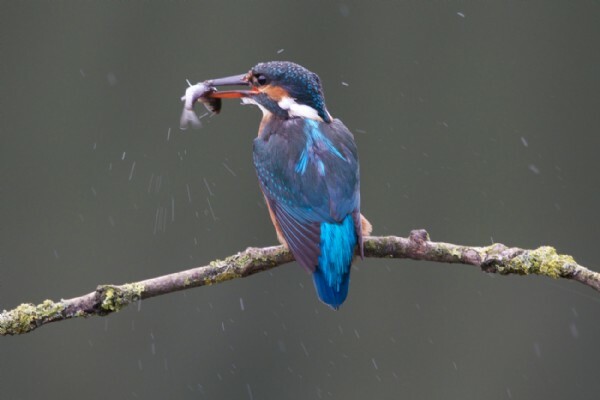 The nature has been wonderful, spotting a kingfisher has been a highlight. We´ve also visited some of the local area, taking walks down by the weir, a visit to the local donkey sanctuary, bike rides across Dartmoor and a day out in Padstow. We thoroughly recommend a visit to Rick Stein´s fish and chips! Beautiful cottage and surroundings to celebrate our first wedding anniversary. Great weather too, perfect for stargazing.Explored the woods and found the old tin mine. Visited Cotehele, Kit Hill and Tavistock. Had dinner at The Horn of Plenty. Great view, book for sunset. Your cottage is perfect and we hope to be back one day. 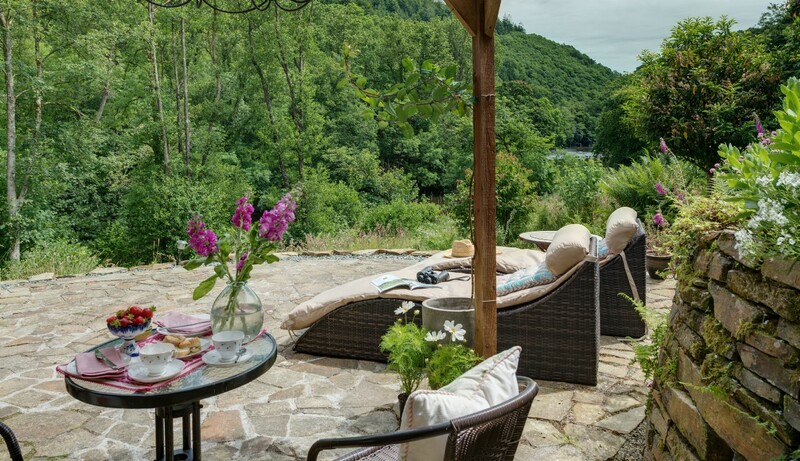 The most beautiful cottage in the most tranquil and idyllic setting. We got engaged here! Thank you for everything. We have had a lovely week in Little Gillyflower enjoying the woods, river and the surrounding countryside. A really relaxing week which was exactly what we needed, with candles and the cosiness of the warm crackling fire. 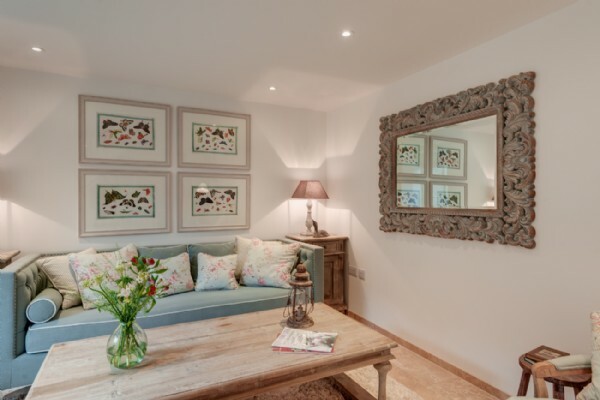 A beautiful cottage in a tranquil setting enjoyed by the three of us. Many thanks! Wow, what a beautiful place. We have very much enjoyed hanging out with the rabbits and deer. We have felt so at home in this gorgeous cottage. It´s a shame that the weather wasn´t always on our side, but you can´t have it all. We would love to return in the summer. We have had the most fantastic honeymoon in the perfect location. 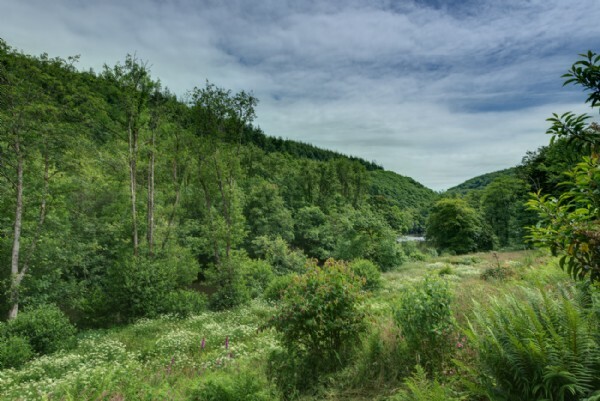 We felt relaxed and peaceful as soon as we arrived and have enjoyed walks around the local area, through the woods and looking at all the old mines. We enjoyed a day trip to Padstow and the lobster hatchery! The butchers in Gunnislake is great and also worth a visit is Philip Warren in Launceston. Hope we can come back some day! Well, what a fabulous week. I came for a relaxing "time-out" week away from hectic normal life, and relaxing is what I most definitely got!The cottage is incredible, as are the surrounding areas. Alison made me feel at home as soon as I stepped through the door. I will most definitely be back! The most perfect tranquil setting for our honeymoon. Thanks for making us feel so welcome. The firepit and fairy lights with the sound of the river was magic! We would recommend The Cornish Arms in Tavistock for superb meal. We loved Boscastle, The Lost Gardens of Heligan and a walk from Rock up to St Enodoc Church followed by a mooch around Padstow. This cottage was certainly quiet and most definitely unique - we will be back! The cottage is unique and it is amazing what has been done to the place (see before photos). The weather has been great for this time of year and we have had a relaxing week in this wonderful place.Thank you Alison for a warm welcome and a well stocked cottage. Thank you for a wonderful relaxing stay at this beautiful cottage. We have been on numerous walks and enjoyed the wildlife. (The car hasn´t moved since the day we arrived!) 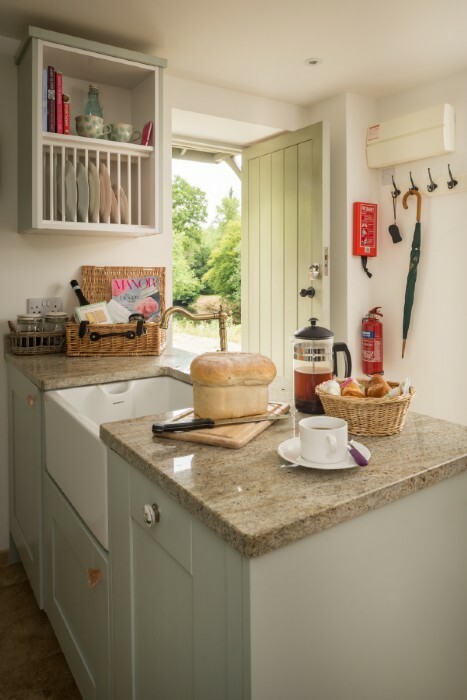 The cottage is comfortable, cosy and very well equipped. Going home fully refreshed. We arrived feeling frazzled and leave feeling totally relaxed after a wonderful week. We would recommend the Cornish Arms, Pannier market in Tavistock and a walk to the local pub. Cotehele house and quay make a perfect setting for a cream tea.Thank you Alison for allowing us to enjoy this place. Sad to go home! 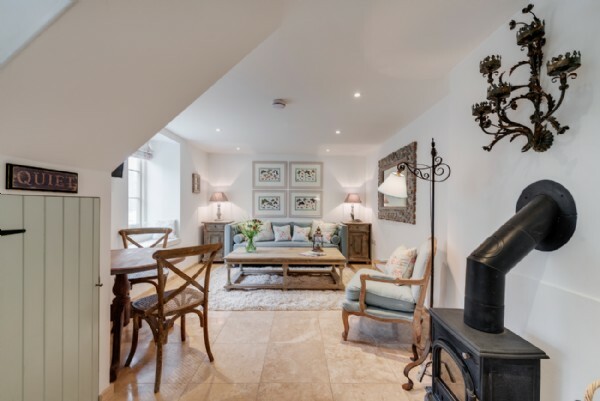 We´ve had a lovely holiday celebrating my 50th birthday, it has been the perfect break...relaxing in this beautiful cottage in such wonderful surroundings. Our Poppy (labradoodle) has had a fab time too! We had such a lovely mini moon, thank you Alison! The cottage is beautiful and we really enjoyed sitting outside and watching the wild life. We would advise everyone to take a walk down to the river side and enjoy the tranquillity. Surfing in Polzeath was well worth the trip and we were very lucky with the weather. We would love to come back soon! We have had a wonderful week here. Our stay has been really relaxing. Watching the wild life whilst eating breakfast has been a real treat. The walks from the cottage were great and Bailey our Cockerpoo has found it all so exciting. 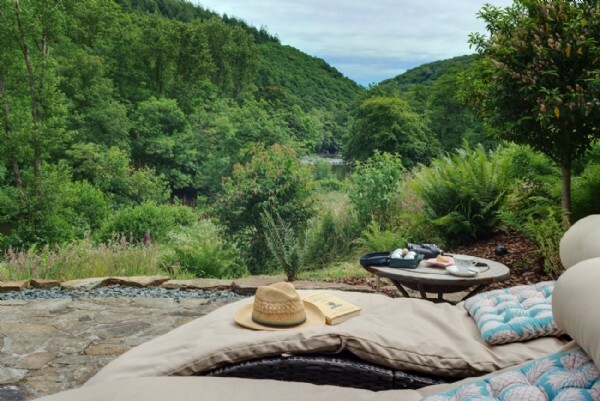 We would recommend Lydford Gorge, stunning, Cotehele interesting. Great food at The Cornish Arms in Tavistock. A very relaxing week in a fabulous little spot! Very comfortable cottage - Thank you. A wonderful, peaceful and quiet place in a beautiful landscape. We enjoyed our stay here very much. We felt like we were living in a story from Jane Austen. Thank you for a wonderful week. A lovely relaxing few days. This is a perfect cottage in a perfect setting. Lots of sleep, lounging and Champagne. Thank you for allowing us to enjoy your lovely retreat. We have had a wonderful relaxing few days, lovely walks from the front door. We followed a walk into Gunnislake haf and lunch at the Rising Sun on Saturday and then on Sunday we walked to the Royal at Horsebridge. Would recommend them both! Relaxing watching Netflix in the evening. Pure bliss. Thank you All. Absolutely gorgeous - we had a really peaceful (or should I say Quiet) stay, beautiful scenery! We have had a lovely stay in your beautiful cottage. We both needed a break from the stress of everyday life and Little Gillyflower was just what we needed. Thank you Ali for a brilliant break, you have done a great job and we just loved this cottage. We loved the style, the peace and the stars. I enjoyed rare time with my husband. We dined at the Cornish Arms and the Horn or Plenty - both a delight - memories to savour! We were lucky with the weather which allowed walks through the woods to the mine, and alongside the bubbling river, accompanied by the birds. Bliss. We hope to return some day soon. What a beautiful cottage and breathtaking surroundings. It has truly been a wonderful week for us here. We have had a relaxing time and have really enjoyed ourselves. Our walk in the woods was such an amazing experience. We have felt at peace and have loved every moment. Really sad to be leaving, thank you so much for everything. Absolutely magnificent stay at the cottage. Thank you for the warm welcome. We really don´t want to leave, but will hopefully be back soon. From the moment we drove down to the cottage we fell in love with this place. The scenery is beautiful, the cottage is stunning, with everything we needed and more! We made good use of the fire-pit during our stay and enjoyed the peace and tranquility. Thank you, Alison and Ed for your hospitality, our honeymoon was absolutely perfect. Little Gillyflower is fantastic, you have no choice but to relax, the facilities went over and above what we were expecting. A lovely cottage in a quiet location with great amenities. This is a very relaxing place to stay, yet within easy reach of various places of interest, we´d highly recommend! We have had a fantastic week here at Little Gillyflower. From long dog walks by the river to a visit at NT Cotehele. We feel truly relaxed and rejuvenated. Thank you for your warm welcome and the delicious bread. We will definitely recommend this cottage to others. 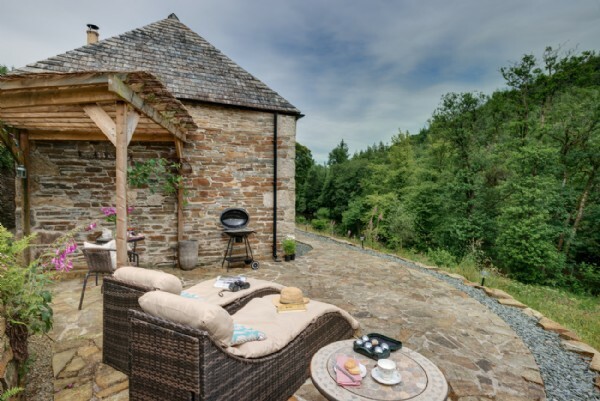 We´ve really enjoyed our stay at Little Gillyflower, especially enjoying the sunny mornings on the terrace and evenings warmed by the fire pit. The beds were very comfortable, the setting is beautiful and tranquil with the reassuring background of the water over the weir. 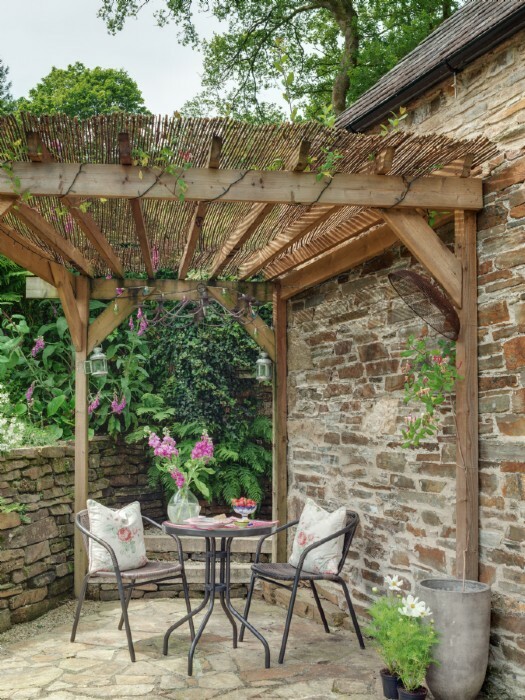 We know how much hard work has gone into creating these idyllic hideaways so thank you very much Alison and Ed. Thanks also for the warm hospitality. This was our second visit to Little Gillyflower in a few years. Ali and Ed, the additions you´ve made are beautiful and extremely enjoyable! The weather has been good to us and we´ve both got a touch of a tan! We really don´t want to leave this idyllic place... Work tomorrow but memories will keep me focused. Hope to see you again, many many thanks both. What a lovely week we have had celebrating my 30th birthday and our last weeks of freedom before our little girl makes an appearance. Such a beautiful and tranquil setting, especially sitting outside with the fire-pit glowing under the starlit sky, listening to the flowing river. We´ve eaten out at a few places this week and can highly recommend the Fat Goose in Tavistock, which served simply delicious food. Thank you for creating a beautiful place to stay and for giving us such a warm welcome Alison - and for the bread! I´ve enjoyed that every day! Thank you for your hospitality and for letting us stay at the lovely Little Gillyflower. 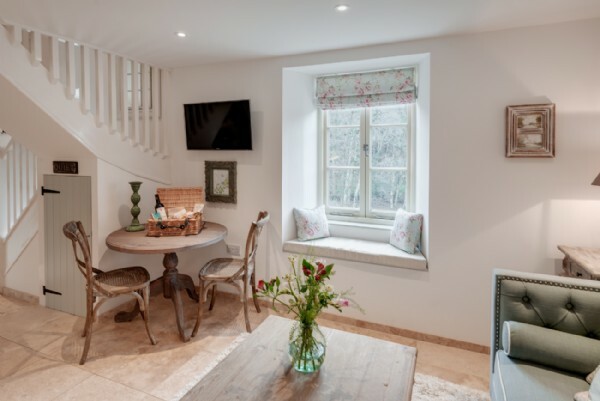 We had a great time in the cosy cottage and the beautiful surroundings will always be remembered. What a beautiful cottage! 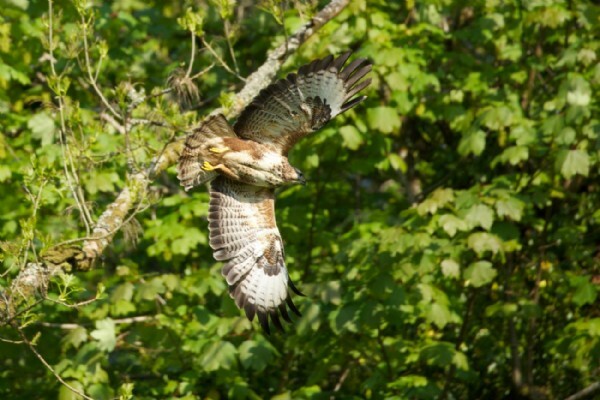 We have really relaxed in the gorgeous surrounding countryside and wildlife of Little Gillyflower. Alison has been an excellent host! We have enjoyed a bike ride through the woods and a canoe trip down the river, both thanks to Tamar Trails. We would very much recommend the Cornish Arms in Tavistock for dinner. We hope to be back again soon. After many hours searching I chose Little Gillyflower for my wife´s surprise 30th and our last babymoon - and what a choice! We have loved it. 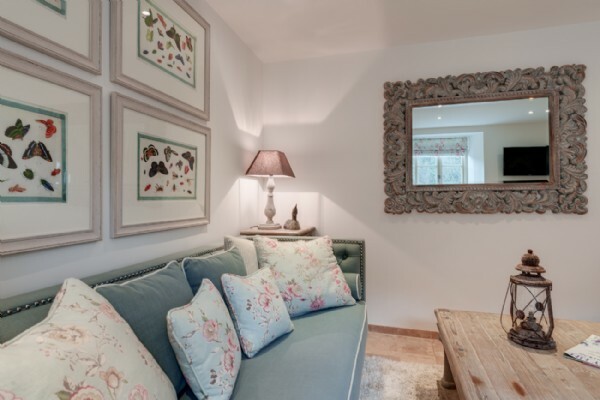 A beautiful cottage, in fabulous surroundings and absolute tranquility. Thank you Alison for the warmest of welcomes and letting us share your piece of heaven. We are leaving totally relaxed and very happy. 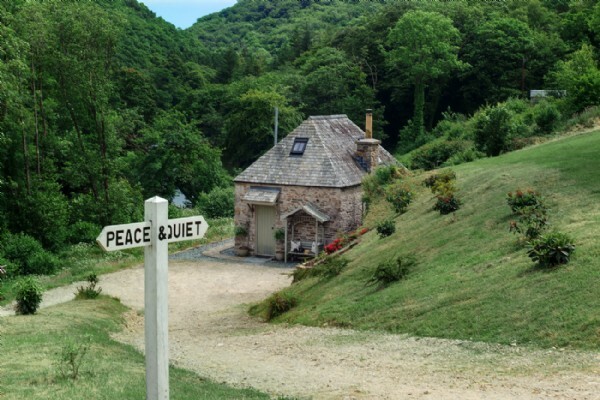 A smart arse (who prefers the word "sage"), Came to "Quiet" for here to engage, With his girlfriend most heavenly, In a cottage most Devonley, And unwittingly made the front page! We have had a lovely week in these peaceful, tranquil surroundings. What a fantastic spot! Breakfast on the patio each day was a treat. The cottage was really welcoming and comfortable. Thank you Alison, we have truly relaxed this week! 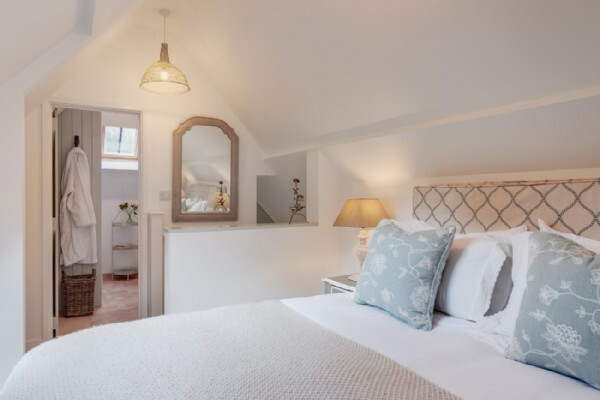 Little Gillyflower is a fantastic cottage in a superb setting and a wonderful place to stay! We had such a loving and warm welcome from the friendly hosts, people in the local pubs and golf courses. Wish we could have stayed longer! What a fantastic week we´ve had! The weather was more than perfect for this time of year - we couldn´t have asked for more. The cottage is cosy and comfy. It´s been so good to get away from it all to a little piece of paradise - so tranquil and beautiful. We´ve loved sitting watching buzzards and herons over the river, walking through the woods and visiting Cotehele, Lanhydrock and Tintagel. Thank you Alison for the warm welcome, we really hope to come back one day. We´ve had such a lovely peaceful time in these beautiful surroundings and are sad to be leaving! Everything has been made perfect for our stay and I suspect we´ll aim to return in the future. We´ll truly miss the peace and quiet, its been just the getaway we needed, so thank you! We had a truly lovely time, the cottage is idyllic and so peaceful, just what we wanted. The welcome hamper was delicious and great for our lovely nights in by the fire playing Scrabble and cards. The Cornish Arms in Tavistock was a nice pub to go to (amazing Steak & Kidney Pudding) and only £10 in a taxi. Thank you again for this wonderful place which we will recommend to others and may even be back ourselves. We had a lovely stay here at Little Gillyflower. The cottage was just perfect and even in March we enjoyed sitting outside with a coffee in the morning sunshine. The log burner kept us toasty for our stay, such a cosy place. Thank you for the lovely welcome hamper and the bread - a real treat! We have loved the tranquillity of this place and the natural surroundings - you can´t beat it! The perfect little hideaway to see in and start the New Year. It felt like a home from the minute you met us at the door! I´m almost too relaxed and happy to be able to write anything - absolutely perfect, the only downfall is that we have to leave! Just a short note to say thank you for allowing us to share your little bit of Heaven. We have had a wonderful holiday and one of the best Christmases. Your home is in a breathtaking location and you should be very proud of your restoration of Little Gillyflower. Thank you so much for your warm welcome and letting us stay in this beautiful cottage. It was just how we dreamed it would be. Your hard work and creativity have created a beautiful place to stay, in wonderful surroundings. We have lots of treasured memories now to begin our married life. 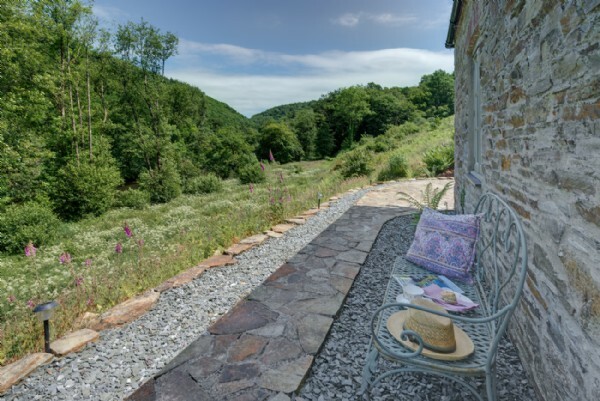 Alison, the owner of the cottage, was absolutely lovely and could not have made us feel more at ease and welcome, her knowledge of the surrounding area and it’s wildlife were really helpful and interesting. 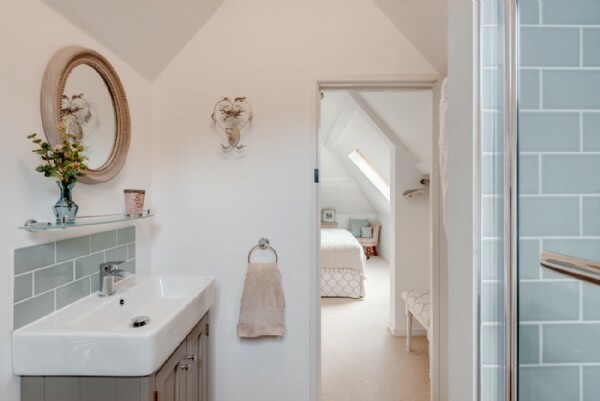 The cottage itself was beautifully restored and made the perfect place to completely relax after the stresses and strains of a wedding to enjoy our honeymoon. We have had a really wonderful week here at Little Gillyflower. The weather has been very kind and we have spent most of the time outside quietly watching life go by around us. 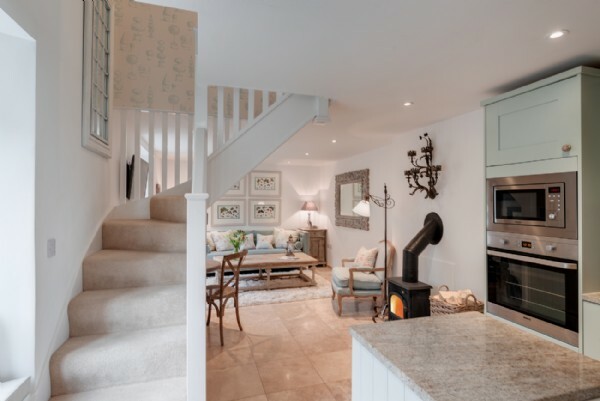 The cottage is lovely, comfortable, well appointed and very aesthetically pleasing! We particularly appreciated the outside furniture and lovely cushions. Over the week we feel we have got to know the buzzards, the blacklaps, the crows at the wier and the black backed gulls that make their way along the river each day. We have been delighted by sightings of herons, jays and kingfishers and have improved out butterfly identification skills. Thank you for having the enterprise and effort to give these little buildings a new lease of life, I hope you had as much pleasure from doing the renovations as we have in staying here. Thank you so much for having us at Little Gillyflower. 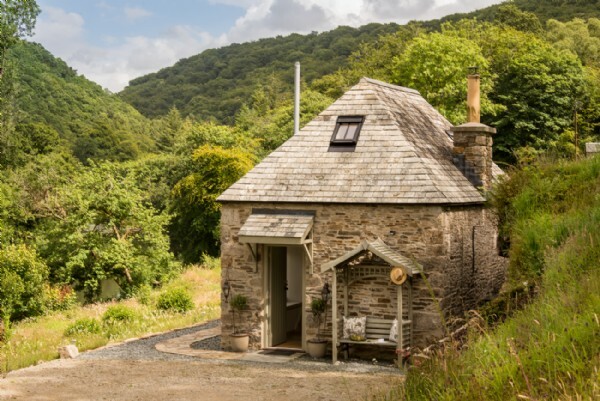 What a wonderful little cottage and so well thought out - every little detail was accounted for, and what a stunning location. A great time was had by both of us and it was a shame we couldn´t have had more time down here to explore further. Thank you again. A beautiful cottage set away from it all and a lovely welcome from Ali. The break was very peaceful and relaxing; exactly the cute country cottage we were expecting. It was great to have Netflix too! The property was outstanding. The decor, location and facilities were brilliant. We will be back. We loved the cottage and absolutely adored Alison, the owner. It´s been a wonderful holiday and we´ll definitely be back for another stay. Beautiful, peaceful, friendly and welcoming - we couldn´t have asked for a more perfect holiday. Thank you so much. 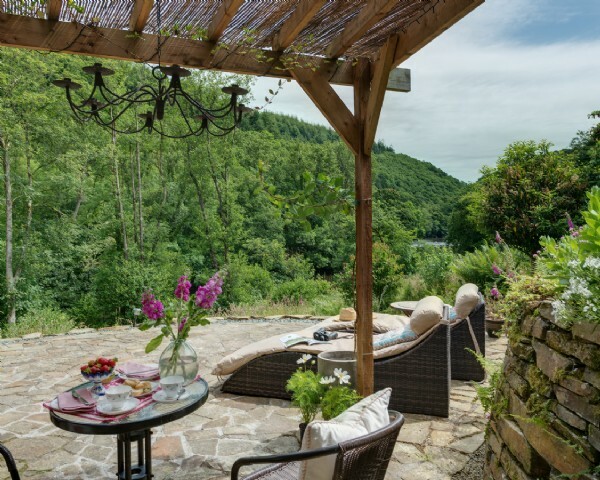 We´ve already recommended Unique Home Stays and the cottage to our friends and families. Thank you so much for making this a wonderful holiday. We had a wonderful stay - a beautiful peaceful retreat. Just what we needed. Thank you. Thank you so much for such a wonderful week. The cottage has been a delight! Hopefully we will be back again soon! Our short stay was just perfect, the owner was both friendly and helpful. The cottage was magical. Thank you for a great service and a wonderful first trip away for my partner and I ...the cottage was so beautiful ...we didn´t want to leave!. This place is truly magical! Our stay at Little Gillyflower was absolutely wonderful. Everything that we needed was catered for. 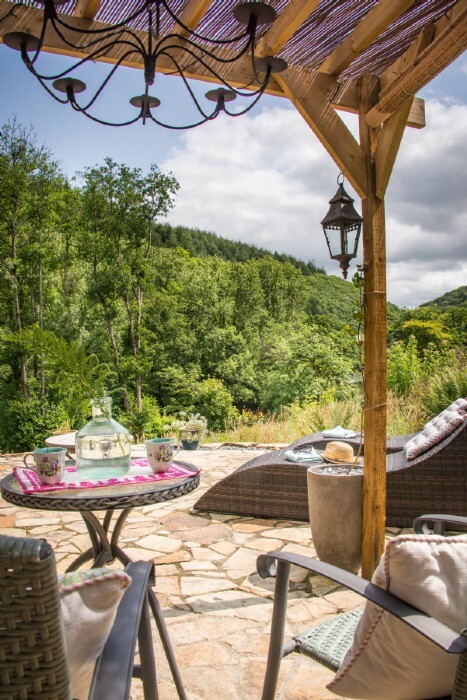 The cottage was situated in the most beautiful setting giving us the most peaceful tranquil break. Ali and Ed have done a wonderful job. We´ve had a wonderful stay at Little Gillyflower. Thoroughly relaxed, new and ready for our journey home. Thank you both again for all the extra touches. 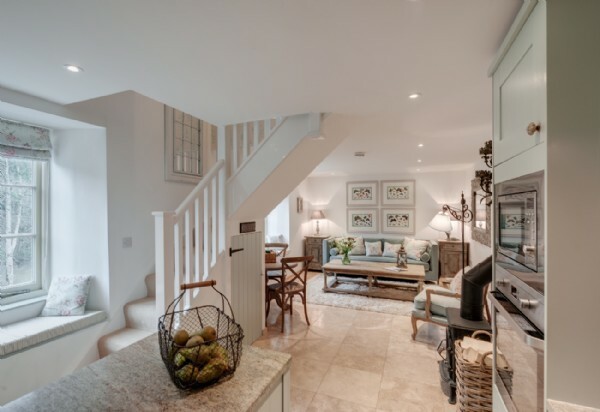 Amazing location, beautifully appointed cottage. We have had THE most relaxing and peaceful week that we can remember. Thank you for sharing such a magical and enchanting place with us, and for making us feel so welcome. Little Gillyflower is "soup for the soul". We plan to come back, perhaps in springtime. Thank you. Just to say we had a lovely stay - very relaxing - in your beautiful cottage. Good luck with your new venture. Property was lovely and the owners were delightful. My wife wants to live there! As much as we photographed the stay, our friends and family would have to visit themselves to appreciate how lovely the property/area is.